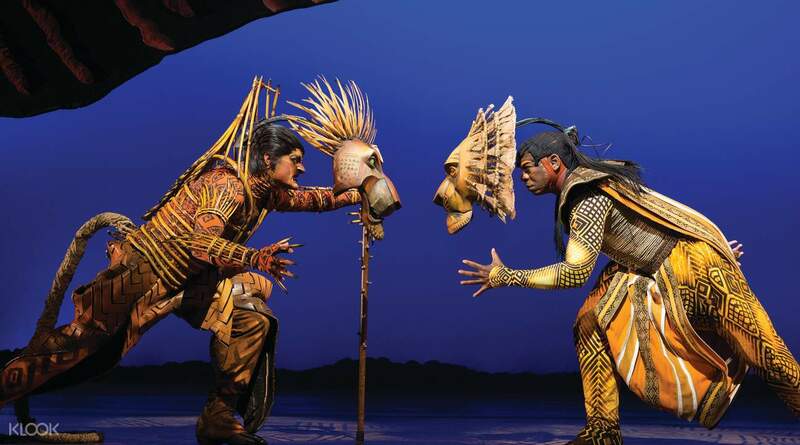 Adapted from the popular Disney film, The Lion King musical follows the story of Simba and his life journey within the African Pride Lands. 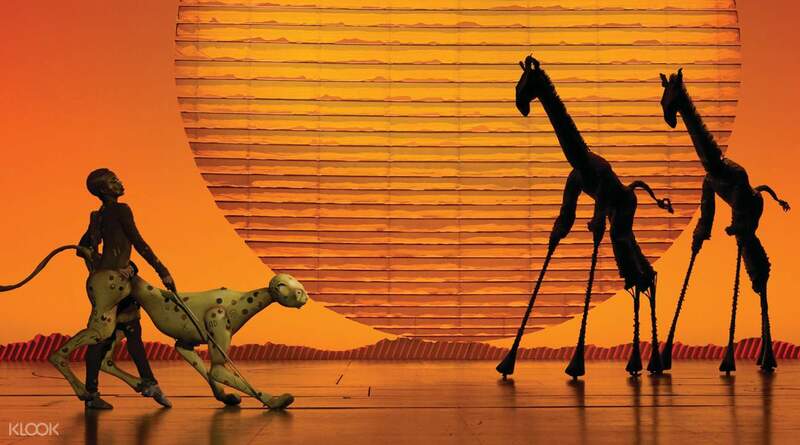 This famous production is one of the longest running musicals on Broadway, having first premiered in 1997 and has since won awards for Best Musical and Best Director, plus 6 Tony Awards. 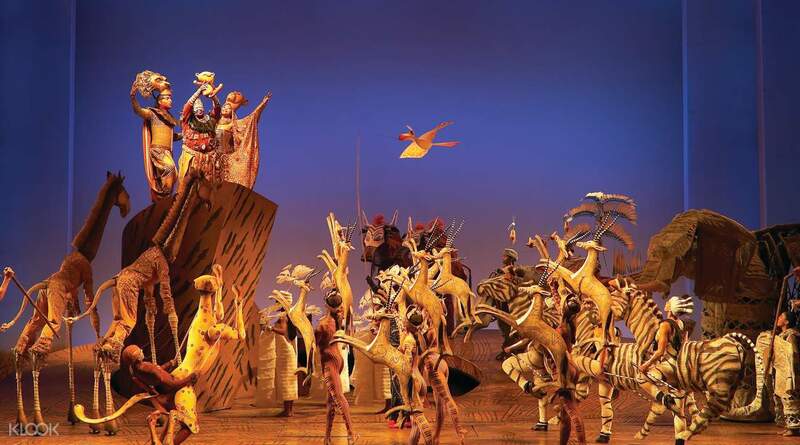 From the goosebump-inducing opening to the fiery finale, The Lion King takes you on an adventure through the vast savanna of Africa. The intricate props, set pieces and costumes transform the venue and the actors to further propel the story forward. 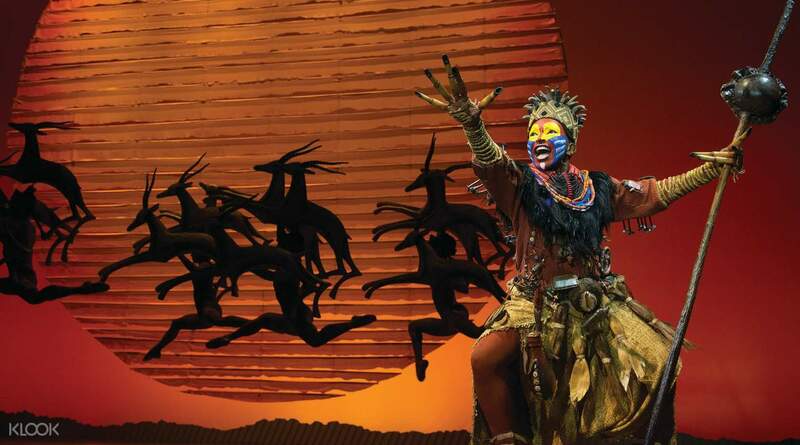 See the show come to life with heart-thumping African rhythms and nostalgic music as you sit back, relax and enjoy an unparalleled audio-visual feast. Although I choose the orchestra instead of rear orchestra/mezzanine but have seats in the rear orchestra, the overall is great. The seats are in the middle of the theater with great view, no blocking, and it is easy to get the ticket at the same day of the show. I don’t have to wait in a long long line to have no risk getting a seat for the show I want. Highly recommend! Although I choose the orchestra instead of rear orchestra/mezzanine but have seats in the rear orchestra, the overall is great. The seats are in the middle of the theater with great view, no blocking, and it is easy to get the ticket at the same day of the show. I don’t have to wait in a long long line to have no risk getting a seat for the show I want. Highly recommend! Good price, good seats, good performance. Amazing night! Everyone has to see the show! Good price, good seats, good performance. Amazing night! Everyone has to see the show! It turns out the tickets here are a little more expensive than buying it in-person.. but you’ll be guaranteed a seat and will save a lot of time from the long lineup. Show was excellent and definitely worth watching! It turns out the tickets here are a little more expensive than buying it in-person.. but you’ll be guaranteed a seat and will save a lot of time from the long lineup. Show was excellent and definitely worth watching! Tickets were cheaper and the seats were absolutely great. Definitely a good deal!! The show is a must in NYC, we all enjoyed it very much. Tickets were cheaper and the seats were absolutely great. Definitely a good deal!! The show is a must in NYC, we all enjoyed it very much. The show was great! Didn't know that this theatre is only showing Lion King so its interior is very Lion King too! The show was great! Didn't know that this theatre is only showing Lion King so its interior is very Lion King too! The show is so great and worthy ! The redemption of the ticket is convenient , just go to the ticket office and show him the barcode. But one bad thing is that the seat is arranged by the system and unluckily our seats are arranged to row D seat 9-11 and the seat 11 is blocked by the machine (just a little). Besides, the price of side orchestra is usually cheaper than orchestra. Overall, booking on the Klook is much convenient and save ur time. The show is so great and worthy ! The redemption of the ticket is convenient , just go to the ticket office and show him the barcode. But one bad thing is that the seat is arranged by the system and unluckily our seats are arranged to row D seat 9-11 and the seat 11 is blocked by the machine (just a little). Besides, the price of side orchestra is usually cheaper than orchestra. Overall, booking on the Klook is much convenient and save ur time. The show was great! Klook make its easy for me to book tickets online. no hassle at all. The show was great! Klook make its easy for me to book tickets online. no hassle at all. Great show and decent seat! Even though it took a few days receive the ticket since the original show time I booked was sold out and I had to select another show time. Great show and decent seat! Even though it took a few days receive the ticket since the original show time I booked was sold out and I had to select another show time. Fabulous show and great seats!Our group of 5 fully enjoyed our night. Fabulous show and great seats!Our group of 5 fully enjoyed our night.